11/13/13 – Marjorie Farabee, Director of Wild Burro Affairs for Wild Horse Freedom Federation and founder of Wild Burro Protection League (under Todd Mission Rescue) and Carl Mrozak, videographer (Eagle Eye Media), with work appearing on CBS, PBS, the Discovery Channel, the Weather Channel and other networks. This show focused on wild burros. Click HERE. 11/20/13 – Simone Netherlands, Natural Horsemanship Trainer, founder of respect 4 horses Organization, and director & producer of the documentary “America’s Wild Horses.” To see the trailer for the documentary, click HERE. To listen to this radio show, click HERE. 11/27/13 – R.T. Fitch, President of Wild Horse Freedom Federation and author of the much acclaimed book “Straight from the Horse’s Heart: A Spiritual Ride through Love, Loss and Hope.” R.T. also runs the blog “Straight from the Horse’s Heart,” which posts current news and information and gives a comprehensive education to the public on issues in connection with wild horses & burros and public lands issues. Also, Ginger Kathrens, founder and Executive Director of The Cloud Foundation, joined in on the show to talk about the Salt Wells & Adobe Town roundups. Click HERE. 12/4/13 – Craig Downer, wildlife ecologist and a member of the Board of Directors of the Cloud Foundation. 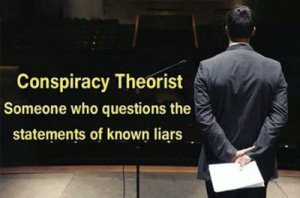 Craig is the author of the book “The Wild Horse Conspiracy” and has a website http://thewildhorseconspiracy.org/. Also, Robert Bauer, Wildlife Biologist. Craig and Bob debunk the Bureau of Land Management’s “junk” science about wild horses and burros. Click HERE. 12/11/13 – Ginger Kathrens, the Founder and Executive Director of The Cloud Foundation, who has been described as “the Jane Goodall of wild horses.” Ginger Kathrens is an Emmy Award-winning producer, cinematographer, writer and editor as well as an award-winning author. Her documentary filmmaking trips have taken her to Africa, Asia, Europe, Central and South America and all over the U.S. Click HERE. 1/15/14 – Victoria McCullough, international equestrian and CEO of Chesapeake Petroleum and John Holland, President of Equine Welfare Alliance, give details on the key support from Vice President Biden and congressional leaders, and the defunding language in the omnibus bill, which stopped horse slaughter from being reinstated in the U.S. Click HERE. 1/29/14 – R.T. Fitch, John Holland and I hosted this show to honor and celebrate the life of wild horse advocate Garnet Pasquale, who dedicated her life to save the wild horses & burros, especially the wild horses near her home in Las Vegas, Nevada through her work with the Spring Mountain Alliance. Garnet’s dear friend, wild horse advocate and wildlife photographer Arlene Gawne,gives a vivid account of these wild horses and the work of the Spring Mountain Alliance. Click HERE. 2/26/14 Barbara Clark, founder of Dreamcatcher Wild Horse & Burro Sanctuary in northern California talks about the sanctuary and natural behavior of wild horses and burros. Click HERE. EXCELLENT show. It sounds as though the people of Bonaire also need a voice…or they need their voices to be heard. They have been getting pushed around too. As Rona said, they love these Burros. 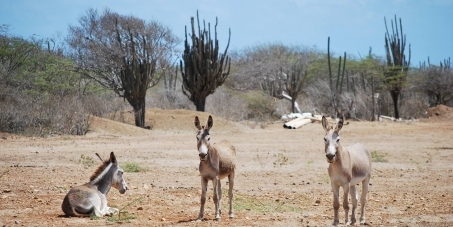 The Burros are part of their country’s heritage and THAT belongs to them. This was a really interesting show! We had a huge turnout too! That’s always good! Very informative show – thank you all! Will be listening for sure!